How to Train Your Dragon: The Hidden World is a 2019 American computer-animated action fantasy film loosely based on the book series of the same name by Cressida Cowell, produced by DreamWorks Animation and distributed by Universal Pictures. It is the sequel to How to Train Your Dragon 2 (2014) and the final installment in the How to Train Your Dragon film trilogy. Written and directed by Dean DeBlois, the film stars the voices of Jay Baruchel, America Ferrera, Cate Blanchett, Craig Ferguson, and F. Murray Abraham. 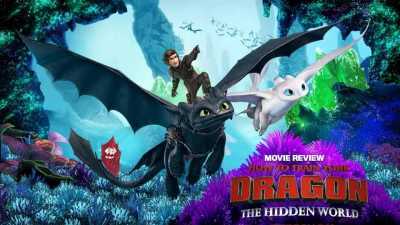 The film’s plot follows Hiccup seeking a dragon utopia called “The Hidden World” while coming to terms with Toothless’ new bond with a female Light Fury.